Hyatt Hotels Corporation has entered into a management agreement with wasl Asset Management Group, one of the largest real estate development and management companies in Dubai, for the development of an Andaz-branded hotel at La Mer - a vibrant lifestyle district in the coastal area of Jumeirah. 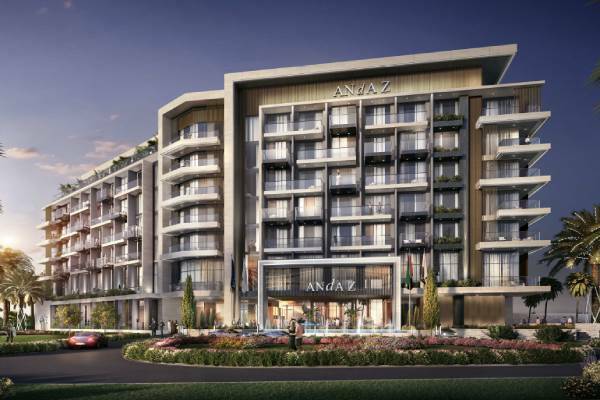 Expected to open in 2020, the property will become the first Andaz-branded hotel in Dubai and the second Andaz hotel in the UAE, joining Andaz Capital Gate Abu Dhabi. Delivering thoughtful, unscripted service for curious-minded guests in search of inspiring local experiences, Andaz Dubai La Mer will offer distinct experiences that immerse guests in the sights, sounds and tastes of Dubai. The hotel will also offer easy access to globally recognised landmarks such as the Dubai Mall, Burj Khalifa and the Dubai Frame.